Huge wall maps of the Grand Canyon. 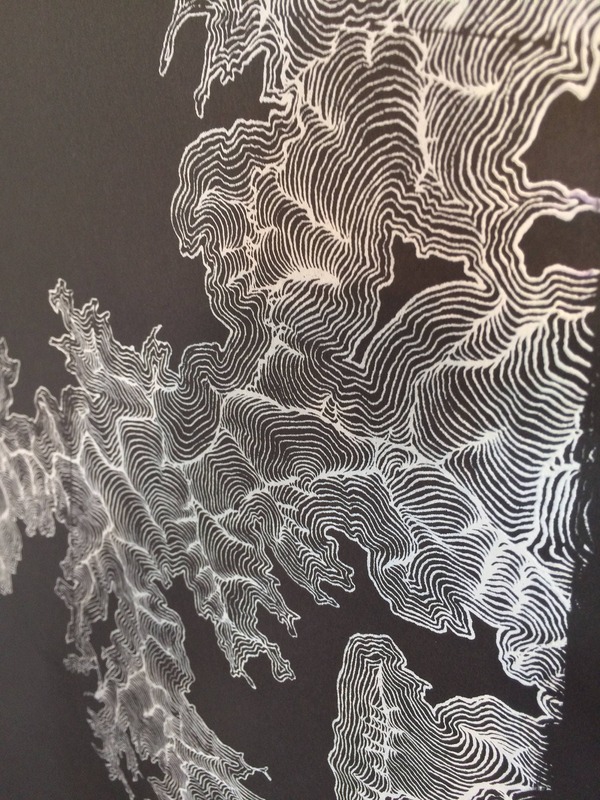 Hand drawn topography of the Grand Canyon. Each of the three prints is 24x36 inches. 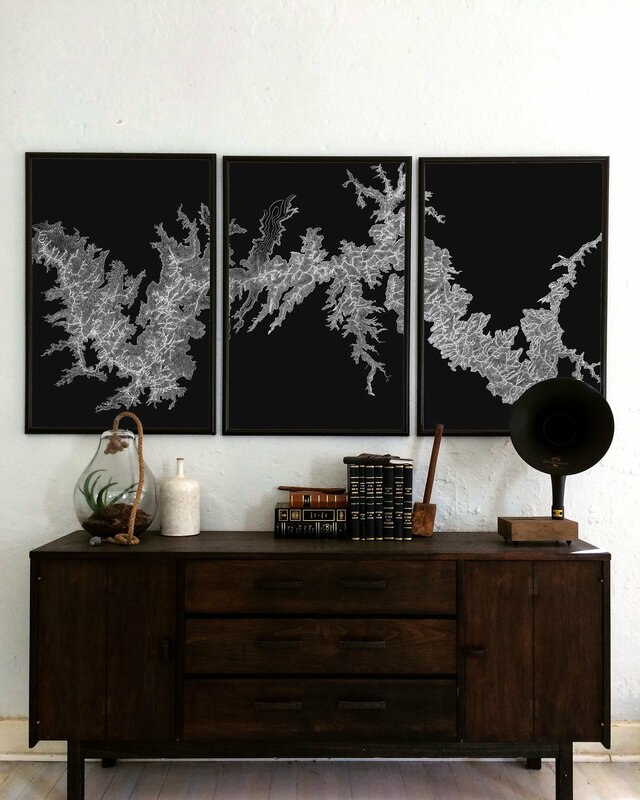 Grand Canyon Topography Art Print. This is definitely a statement piece. This triptych of the Grand Canyon shows incredible depth of the Colorado river and all the connecting canyons that make up the Grand Canyon. 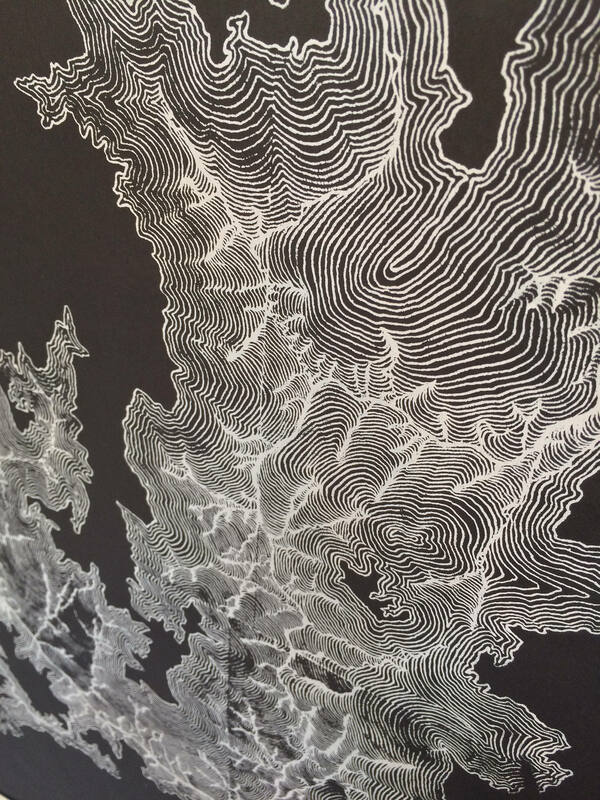 The topographical lines are interpretive in order to give depth, but the actual rivers and canyons are representative of the actual canyon. 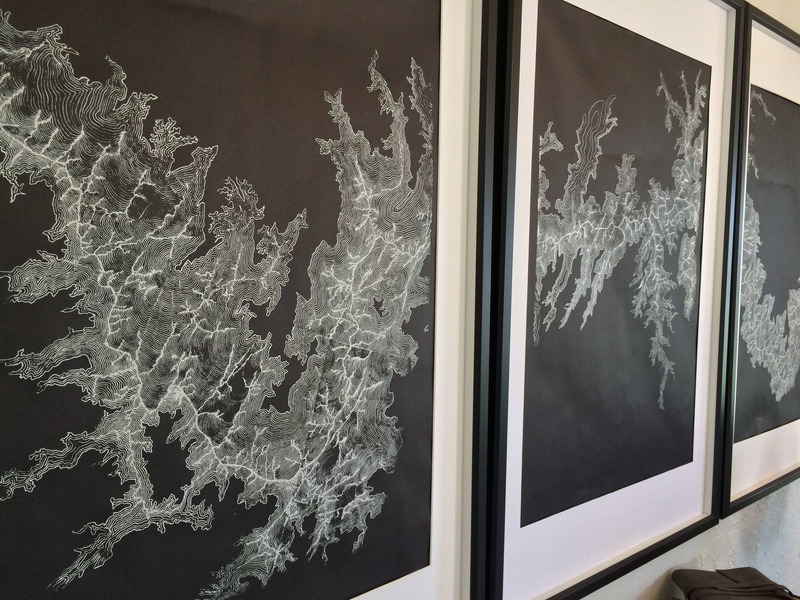 The map was originally drawn by hand using satellite photography. Size: Three prints at 24x36 inches each.